Audi has unveiled the AI:ME at this year’s Auto Shanghai, which serves as a preview for an autonomous mobility concept for the megacities of the future. 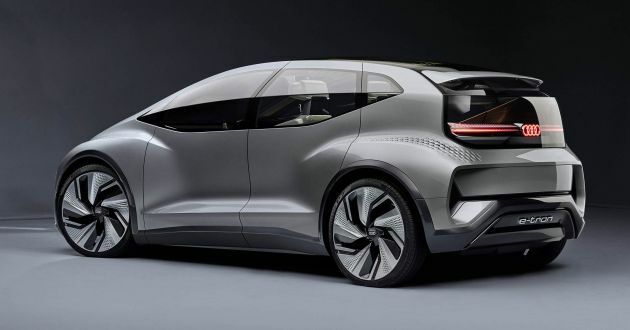 The AI:ME is the third vision vehicle from the brand for use in clearly defined areas, with others being the AIcon and PB18, with a fourth concept arriving in September 2019. While the AIcon is geared towards long-distance drives, and the PB18 is designed for use on race tracks, the AI:ME was developed with urban mobility in mind. As such, it’s a rather “compact” car, measuring 4.3 metres long, 1.9 metres wide, 1.52 metres and with a 2.77-metre wheelbase. Motivation is provided by a 168 hp (170 PS or 125 kW) electric motor driving the rear wheels, but extreme acceleration values and top highway speeds aren’t the focal points of the car. 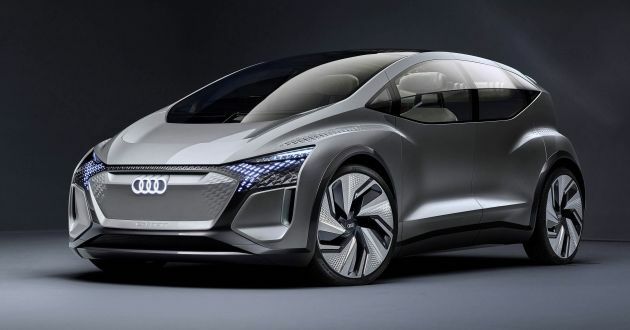 Instead, Audi believes the AI:ME will be driven predominantly between speeds of 20 and 70 km/h, so the full e-motor output won’t be necessary to keep up with the flow of city traffic. As such, the aim is to ensure the vehicle is capable of remaining mobile for long periods of time; hence the battery has a modest capacity of 65 kWh. The vehicle’s low weight and brake energy recuperation also help lower the energy consumption even in city traffic. The AI:ME is also capable of level 4 autonomous driving, allowing the driver to completely transfer the task of driving to the system in areas defined for autonomous driving. As the vehicle lacks level 5 functionality like the AIcon, a traditional steering wheel and pedals are still present, so manual driving is possible when needed. This level of autonomy has an impact on the exterior design of the concept, with lighting playing an important role to not just light the path ahead, but also to communicate with other road users. On most of the surfaces featuring a diamond-like pattern, there are LED elements or micro matrix projectors that use easily identifiable symbols to signal to pedestrians when the AI:ME is letting them cross the road, for example. Additionally, they can als project graphics onto the road, provide additional illumination to other road users, and interpret signals (like hazards) from other vehicles to inform other motorists. The overall shape of the concept is rather pleasing to the eyes, and deviates away from the typical boxy show cars of the past. The sleek body and generous use of glass are complemented by rear suicide doors, as well as large 23-inch wheels. With not a lot of driving to do, the AI:ME’s interior is meant to promote a “third living space” beyond our homes and workplaces. Copious amounts of stowage space can be found inside, while magnetised surfaces allow you to keep metal cups and plates in place. Other highlights include lounge-like chairs, a multi-function 3D OLED monitor, eye-tracking technology, virtual reality, active noise control, artificial intelligence, electrochromatic glass and a mix of premium and recyclable materials. The goal is to create an ambience within the cabin that promotes the wellbeing of passengers when commuting within the city, where traffic jams are common. If it doesn’t fly it is not built for MegaCity One. I will wait for Pakatan Flying Drone Car. Wow..our Iriz could take/evolve into this form.